Chairman of the ISO Committee on Small Craft Nik Parker confirmed to delegates at the Summit Down Under on the Gold Coast last week that the International Council of Marine Industry Associations is sponsoring a program to develop globally recognised technical standards for boats. “They are undertaking a program of standards harmonization encompassing ISO (Europe) and ABYC (USA) standards,” he explained. Organised by the National Marine Safety Committee, and coinciding with the Sanctuary Cove International Boat Show, the event, held on Friday 22 May was attended by more than 60 delegates from marine agencies and industry. NMSC CEO Margie O’Tarpey emphasised that the Committee has always valued its collaboration with the private sector with the shared aim that ‘boating should be a pastime that everybody can enjoy safely’. “We recognise the challenges currently faced by the Australian recreational boat industry in these difficult financial times and that has been a key factor in planning this seminar. Issues such as safer boats or better rescue services, consumer attitudes to boating safety, standards for recreational boats, the need for a national boat operator’s license and doing business in the current financial climate were just some topics “on the table” during the Summit. According to key note speaker Peter Chennell, the UK’s Royal National Lifeboat Institution’s Safety Manager, your brain is your most important piece of safety equipment. 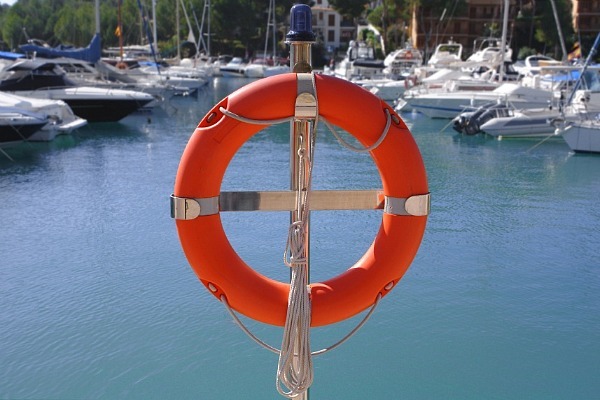 “Unlike Australia, the UK does not have any form of recreational boat registration or licensing of boaters, nor is the carriage of safety equipment mandatory. To this end, the RNLI, the charity that provides the Lifeboat and Lifeguard service around the shores of the UK and Ireland, is commissioning research into the psychology of behavioural change. From an Australian perspective, Margie O’Tarpey confirmed that the NMSC has implemented a variety of measures to improve boating safety, such as developing a national incident database and research initiatives, education campaigns, the Australian Builders Plate for recreational boats and technical standards.